Slime Drones, Slime Cannons… Over 14,000 Gallons of Slime TONIGHT! Tune-in to the KIDS' CHOICE AWARDS tonight at 8/7c on Nickelodeon! Don't miss out on any exciting news! To ensure delivery to your inbox, please add nickspotlight@mms.nick.com to your address book. You are receiving this message because you agreed to receive marketing offers about and from Viacom International Inc. and its corporate affiliates including those from and about Nickelodeon. © 2015 Viacom International Inc. All Rights Reserved. Nickelodeon and all related titles, logos and characters are trademarks of Viacom International Inc.
Let Nick Spotlight be the first to tell you about exciting shows and promotions from Nickelodeon. 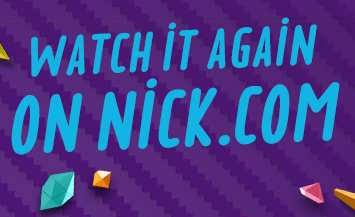 Get Ready for Nickelodeon’s Kids’ Choice Awards 2015! All the slime, all the stars, only on Nickelodeon. By texting KCA to 91757, you are agreeing to receive monthly text messages from Nickelodeon. Text STOP to opt-out at anytime. Message & data rates may apply. © 2015 Viacom International Inc. All Rights Reserved. Nickelodeon, Kids' Choice and all related logos, titles and characters are trademarks of Viacom International Inc.
Fifth Harmony, 5SOS, Taylor Swift.. YOU Choose Who Wins a Blimp! Vote now for your favorite nominees to take home a Kids' Choice Awards blimp! Andy, "No I don't. I hurt it last year when I lost $1,000 on the Stanley Cup play-offs. I put my foot through the television." My 11-year-old daughter was standing in front of me lying about something. My mind flashed back to a time when I was about that age and I stood in front of my dad trying to lie. "What kind of half-assed lie is that? What do you think I am, an idiot?" he said after I laid a doozie on him. I stammered not sure how to answer, "Well, uh, um..." and then he hit me on the head. "That ain't no way to lie," he said. "It wasn't bad," I defended. "How can you tell it's not true?"